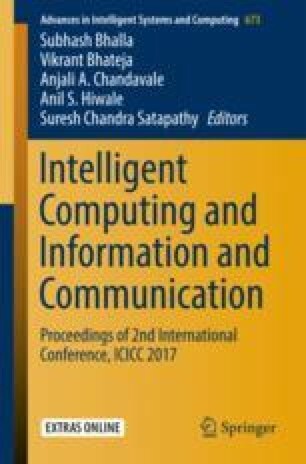 Many high-performance computing applications are using MPI (Message Passing Interface) for communication. The performance of MPI library affects the performance of MPI applications. Various techniques like communication latency reduction, increasing bandwidth, and increasing scalability are available for improving the performance of message passing. In multi-core cluster environment, the communication latency can be further reduced by topology-aware process placement. This technique involves three steps: finding communication pattern of MPI application (application topology), finding architecture details of underlying multi-core cluster (system topology), and mapping processes to cores. In this paper, we have proposed novel “ClustMap” algorithm for the third step. By using this algorithm, both system and application topologies are mapped. The experimental results show that the proposed algorithm outperforms over existing process placement techniques. MPI, “MPI 2.2: A Message-Passing Interface Standard”, MPI Forum, www.mpi-forum.org/docs/mpi-2.2/mpi22-report.pdf (2009).